As the recent revelation over Google’s background tracking of your location shows, it’s not as easy as it should be to work out when apps, giant tech companies and pocket devices are tracking your location and when they’re not. Here’s what you need to know about how location tracking works on a phone—and how to disable it. 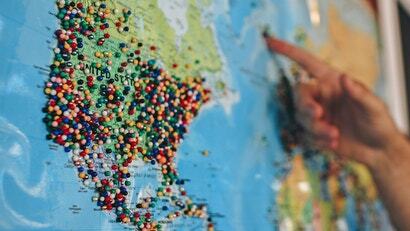 Location information is one of the prime bits of data any company can get on you, whether they want to personalise your weather reports or serve up an ad for a local bakery. 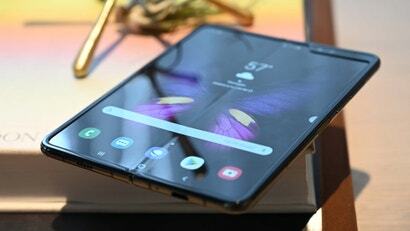 As a result apps and mobile OSes are very keen to get hold of it. It’s a compromise though, and if you don’t want to give it away, you’ll have to do without some location-based services (like directions to the park). Do you want convenience or privacy? You can’t have both, but know how it works, and when you can or should activate it should help. 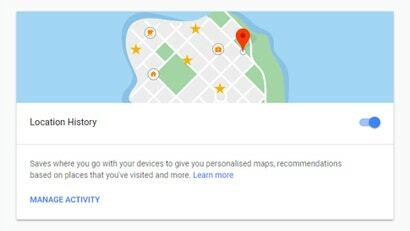 This also means you won’t be able to locate where you are on a map, look for coffee shops in your local area, or find your device if it gets lost; it also stops Google from anonymously aggregating data to tell Google Maps users how busy a road or a restaurant is, for example. 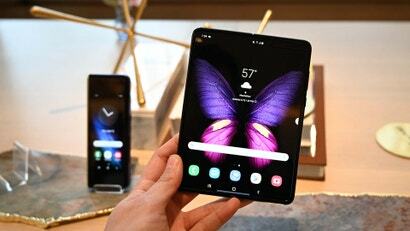 Both Android and iOS include more information on the actual menu screens themselves so you know what you’re letting yourself in for. There is one situation where your location is still shared on both Android and iOS though, even with location tracking off: When you call emergency services. 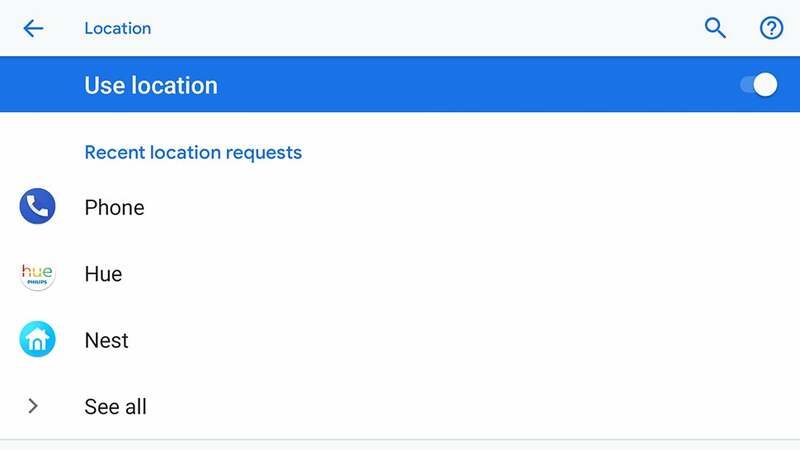 If you’re in a country (like the US) and on a network with emergency location sharing is enabled, your phone will still report your position to first responders, no matter what. 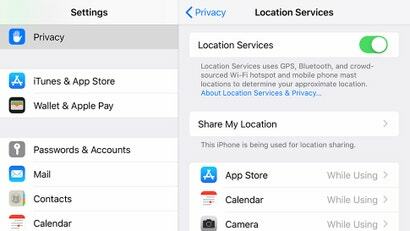 If you enable location tracking on your device, then you’re giving Google and Apple access to that information—it’s just part of the deal of using their mobile operating systems with location services enabled. 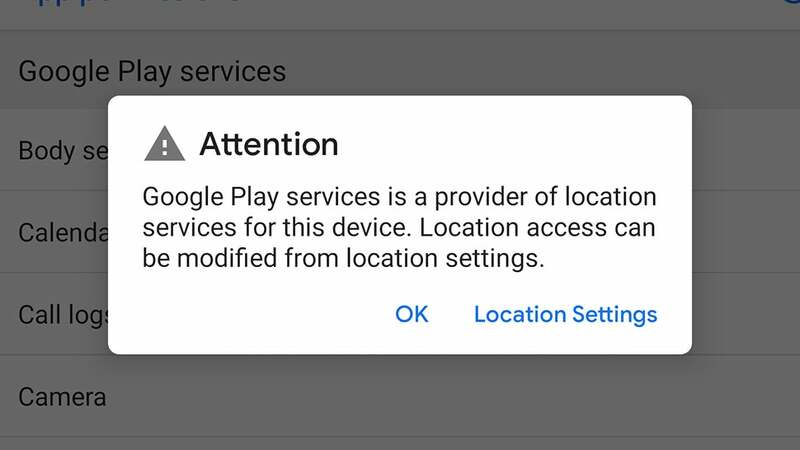 Even with this setting on though, you can block individual apps from accessing your device’s location. From Settings on Android, head to Security & location, then Location, then tap App-level permissions to see all the apps installed on your phone—turn the toggle switches to Off for any app you don’t want knowing your location. For example, you might want to let Airbnb know where you are but not Facebook. Again, this might break some app functions that require location information. 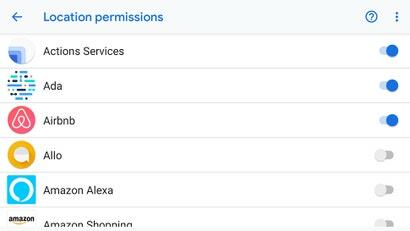 Over in the Settings app for iOS, tap Privacy, then Location Services to see a full list of apps. 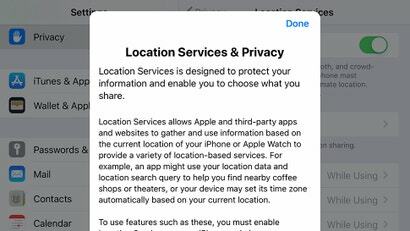 You get more granular control on iOS: Apps can be allowed to access location data Always, or While Using the App, or Never. Use the Never option to block tracking completely, or While Using the App to block background tracking (so location information is only logged when the app is actually running). Remember though that some of these apps have a long reach. 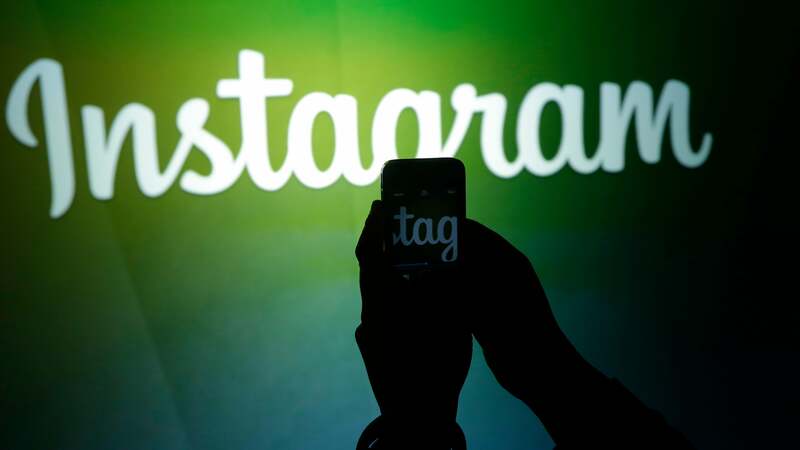 Even if you switch off location access for the Facebook app, Facebook as a platform will know where you are when you log in inside a browser (because of the IP address you’re connecting to the web from), or when one of your friends tags you in a particular place, or when you tag a place in an Instagram photo. 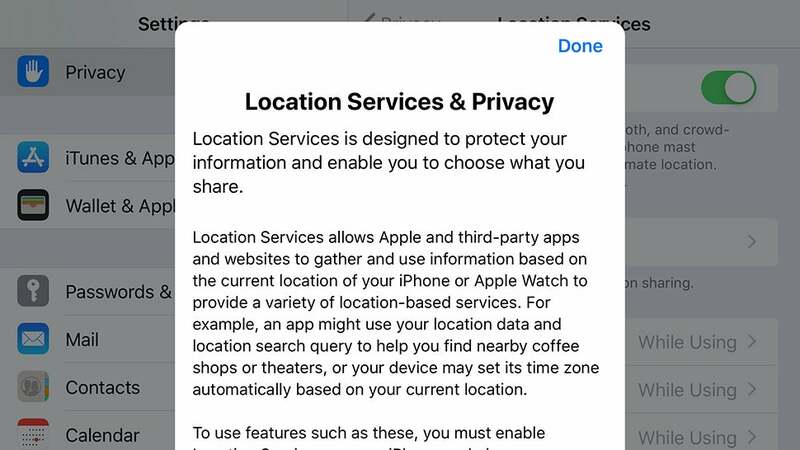 Even if you switch off location tracking access for all your apps, as long as it’s enabled on your phone—see the first section—Apple (on iOS) and Google (on Android) can collect location data about you, because they own the OS. Google, though, seems far more aggressive about it, and far keener to share location data across all its products. 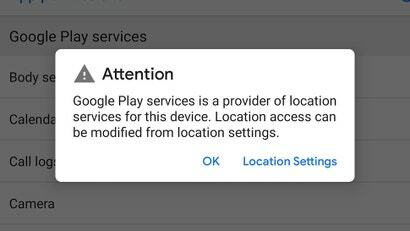 This is the sort of tracking highlighted in K. Shankari’s blog post, which prompted the AP report in the first place, and which picks up on issues with Android that users have actually been noticing for years: Google Play Services will still gather up some location data for Google and related services (like Maps and the Google Assistant), as long as location access is switched on at the phone level. 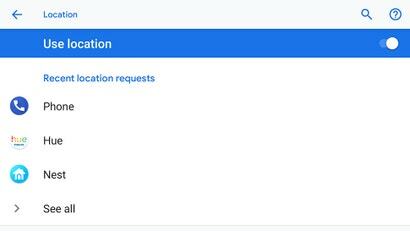 Google can even do this on iOS, with the help of the Google app—you’ll notice it requests to log location information at all times, even when it’s in the background. At least on iOS, you can block the Google app without disabling phone location services completely, whereas on Android it’s kind of all or nothing as far as location goes. This information is shared across other devices connected to the same iCloud account, as Google shares account information across multiple devices, though Apple makes it clear that it’s not interested in storing this data for itself—it stays locked on your device rather than beamed back to Apple. Any data Apple sees is anonymized and grouped with data from other users. Like using Facebook, or connecting to public wifi, it ultimately comes down to how much trust you’re putting in the companies providing these services. 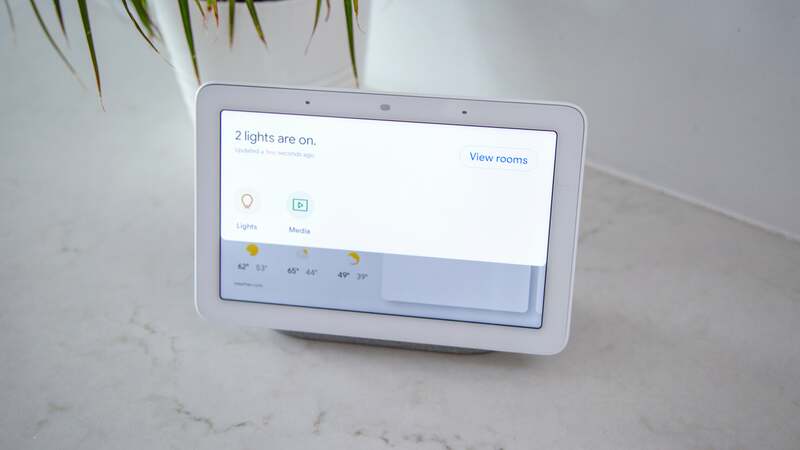 Are you happy for Google or your iPhone to know where you are in return for step-by-step directions home, or local weather reports, or recommendations about a new restaurant in town? So, if you want to block a specific app from knowing where your phone is, you can switch the permission off at the app level. 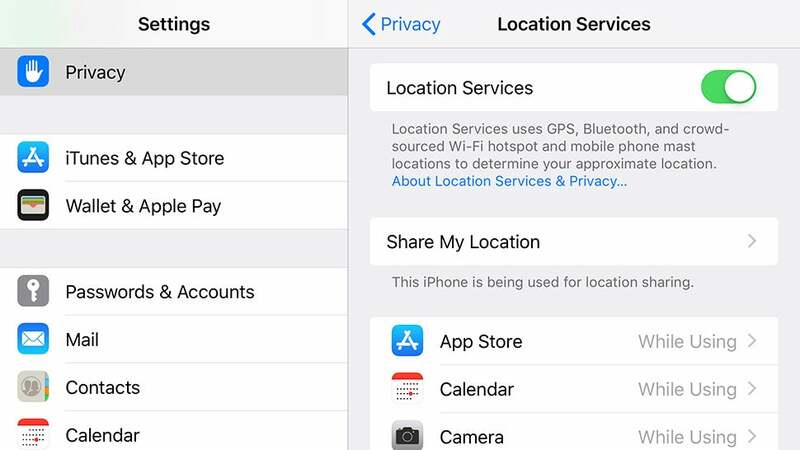 If you want to stop Google and Apple from gathering any location information from your mobile device at all, then you need to disable the device’s location feature completely. Or maybe just go back to a dumb phone.